Marc represents U.S. Food and Drug Administration -regulated companies (FDA) in the food, dietary supplement, beverage, cosmetic, medical device and drug industries. 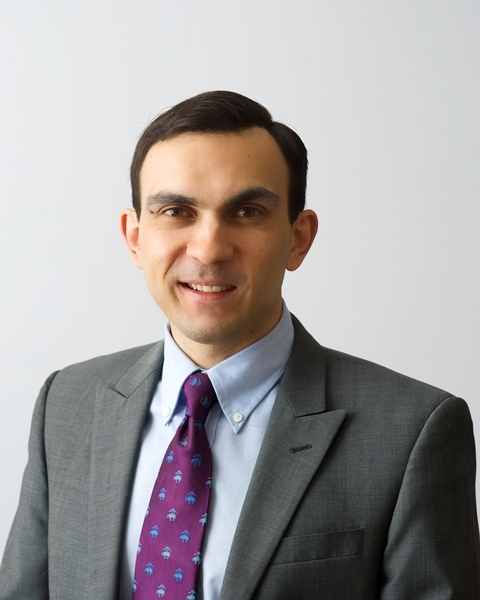 He also teaches as a part-time faculty member at Northeastern University on regulatory topics including U.S. and international food law and regulation. With a focus on international trade, he advises clients on the regulatory requirements and strategic corporate considerations that affect the importation, distribution and exportation of FDA regulated products. Marc is a frequent national speaker on FDA compliance issues affecting the food, dietary supplement, and medical device industries. He is also considered a leading voice in understanding the Food Safety Modernization Act, which has fundamentally changed food law in the U.S., with interviews and contributions in the Washington Post and Huffington Post. He is also the author of two textbooks, including Springer International’s first food law text. Marc is the founder of Contract In-House Counsel and Consultants, LLC. His firm utilizes a cost effective model of adding a contact in-house attorney to small and mid-sized companies to provide expert counsel on a short and long-term basis. He currently serves clients across the U.S., EU, China, and Middle East. Marc’s firm focuses on FDA, U.S. Department of Agriculture’s Food Safety and Inspection Service (FSIS)/Animal and Plant Health Inspection Service (APHIS)/Agricultural Marketing Service (AMS), and the Federal Trade Commission (FTC),), as well as other federal, state, and international consumer protection agencies governing rules and regulations related to drugs, foods, dietary supplements, homeopathic remedies, medical devices, medical foods and cosmetics. Marc works extensively in the areas of food and dietary supplement safety, labeling and advertising claims. He drafts opinion letters regarding the status of food ingredients in the United States and assisted in the preparation of food additive petitions, Generally Recognized as Safe (GRAS) notifications, and new dietary ingredient notifications. He also assists companies in developing self-determined GRAS positions for food ingredients. His practice also specializes in international compliance and distribution agreements. Marc advises clients on issues related to FDA and FSIS’s labeling requirements as well as on organic products and genetically modified organisms. He has assisted companies on important FDA, FSIS, APHIS compliance issues, including Hazard Analysis And Critical Control Point (HACCP), good manufacturing practice, product recalls vs. market withdrawals, inspections, warning letters, complying with FDA’s and FSIS’s standards of identities, importing meat and poultry products into the United States, warning letters, and record keeping. Marc has also been involved extensively on issues related to the marketing of foods and dietary supplements, including health claims, qualified health claims, structure/function claims, and nutrient content claims. He has developed strategies for companies to communicate information about their products without running afoul of FDA, FSIS and FTC regulatory requirements. The Impact of Importing Food and Dietary Supplements under the Proposed Foreign Supplier Verification Rule.